Dedicated to helping each Special Star shine. 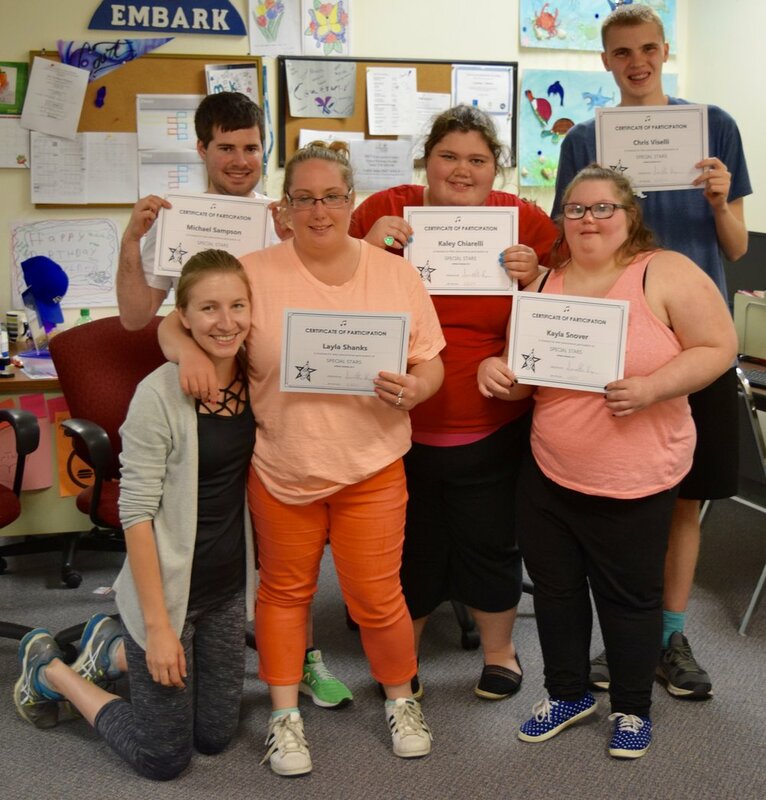 We are a performing arts program that offers affordable adaptive singing, dancing, and acting classes for those with intellectual and developmental disabilities. We also have a 501c3 nonprofit organization that funds our efforts. Students learn to express themselves through creative group music and movement activities while gaining confidence and appreciation for the arts. We offer personal attention to meet each person's specific needs. All classes culminate in a live performance for friends and family. Special Stars is dedicated to helping each individual discover their own personal strength, talent, and potential. Find out about our organization, mission, and the results of our performing arts advocacy for those with special needs. We, at Special Stars, imagine a world where everyone has equal access to the performing arts. Help us achieve that goal by donating today!